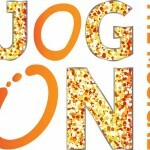 Here is the official promo clip of Jog On, the Musical. A fabulous new musical written by Stephanie Smith with music by Monica Sik Holm. Directed by Charlotte Peters. Performed at The Soho Theatre, London and So-and-so Arts, London.